Motorola X to launch on August 1? | Android Blast! Android Blast! > News > Motorola X to launch on August 1? Motorola X to launch on August 1? Google's Motorola has scheduled an media event on August 1 and all signs point to the launch of the Moto X. We've seen a series of leaks of the upcoming Google phone, and it is said to be stellar. 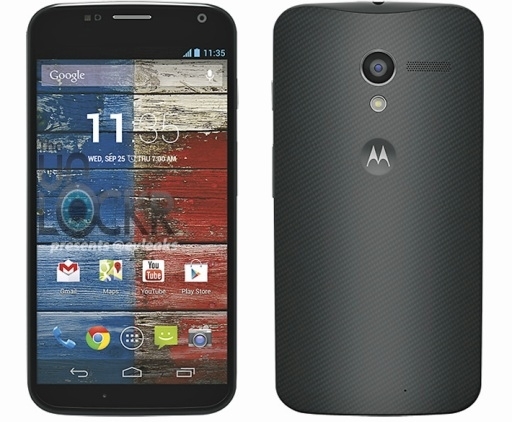 The Moto X is said to be highly customizable as it is built in the US. The latest press render comes courtesy of @evleaks and TheUnlockr. The Moto X looks to be the next must have Android device as the pure Google experience definitely bests the rest of the bunch. In classic Motorola fashion, the Moto X looks to be solid with great build quality. If you are in the market for a new phone wait for 12 more days until the Moto X launches. It looks like it could be a winner!